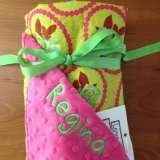 This modern minky baby blanket features incredibly soft hot pink minky and a sweet rose print. 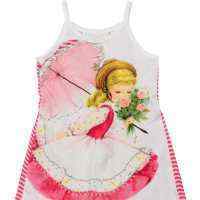 Your little girl will love cuddling up with this minky rose boutique baby blanket. 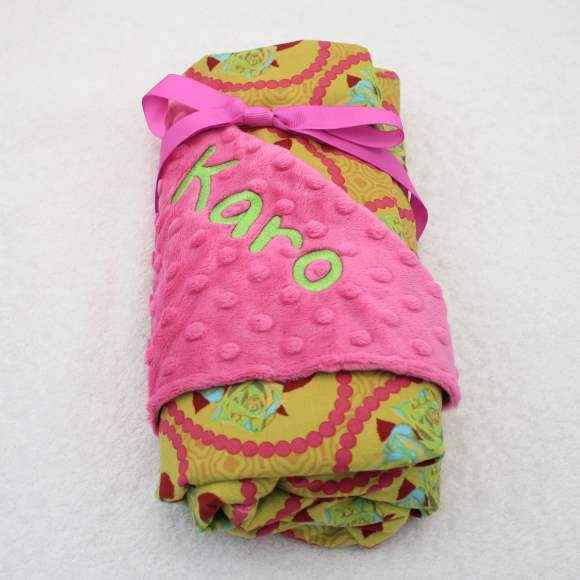 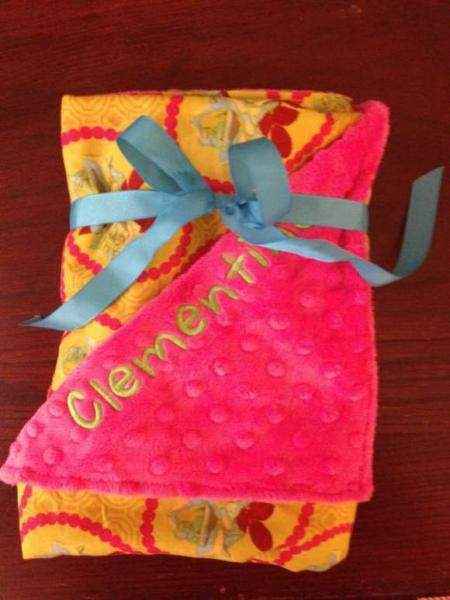 The personalized version of this minky baby blanket comes with a first name or the word "baby" plus a last name. 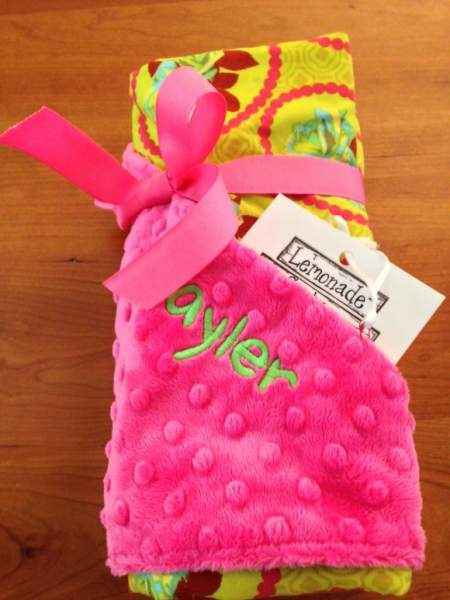 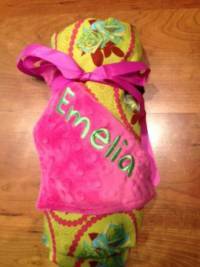 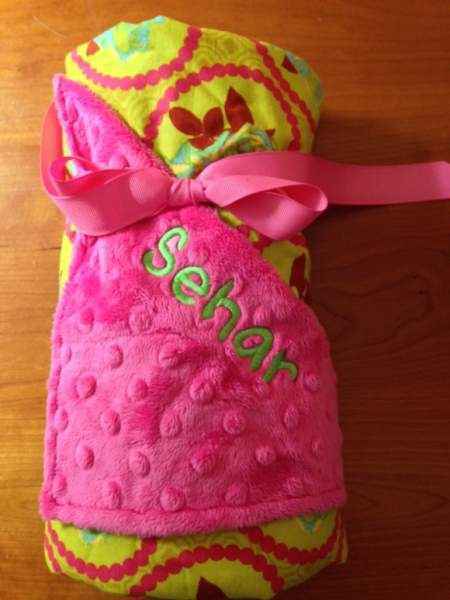 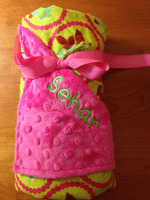 For example, the monogrammed pink and lime modern baby blanket can say "Beth" or "baby Smith". 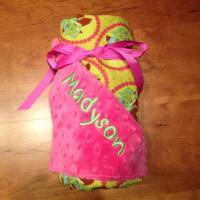 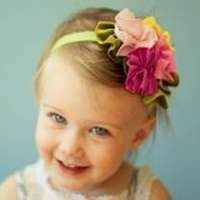 Note: Each rose modern pink minky baby girl blanket is handmade individually, and so there will be slight variations from the photos.